InCloud360 provides professional services to companies throughout the Southeast and the Jacksonville area. Contact us today to learn more about Sage Intacct and how it can benefit your specific business. Or, call us at (866) 398-9096 or visit our website www.InCloud360.com. With four different entities (including a Florida office), and continued international expansion on the horizon, the company’s legacy system from Sage was creating headaches for the finance team due to its lack of global management and reporting capabilities. To address these challenges and position the company for future growth, STS evaluated three financial management systems. 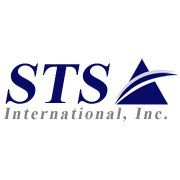 “We did a thorough evaluation of Intacct’s cloud-based software and hosted options from Microsoft and Sage” said Mike Munson, controller at STS International. "We were blown away by Intacct’s global consolidations capabilities and the flexible reporting and analytics, along with its overall scalability and the flexibility to plug into any other business system we needed. Having a true, modern cloud solution that offers seamless upgrades, as opposed to a hosted on-premises system, made it by far the best choice of the three".